The highly anticipated PS4 game Kingdom of Hearts 3 made the unusual decision to release the game minus its ending – which is only downloaded once players complete the game. Like blockbuster movies and TV shows, games culture has a ‘spoiler’ troll problem and have now sought a technological remedy – paving the way for a new kind of delayed-release entertainment. Advances in robotics and personal home assistants have gone some way to alleviate the fear many have held regarding autonomous machines in the home (who doesn’t love that video of the Grandma yelling “OK.. Hey.. GOOGLE!”?). Now Hanson Robotics, the company behind the AI-powered Sophia robot, have created 'Little Sophia', a robotic toy designed to encourage kids (especially girls) into STEM education by incorporating science and mathematics into conversations and play. You know that feeling when you’re trying to relax while eating in an airport restaurant, but you have to keep checking your gate time, get flustered asking for the bill and always, always end up running? Well, no more – a new company aptly named @YourGate are seeking to streamline the airport experience by delivering airport food to you at your gate, saving time, stress and indigestion. It’s not just food, they’ll also pick up your duty free, chargers and in flight snacks for you too – paving the way for delivery services entering the transport space. 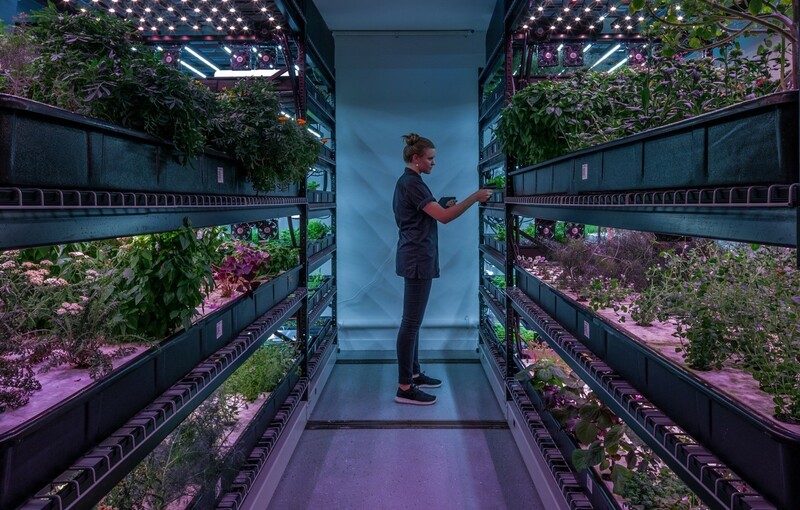 While in recent years urban farming has been used as a restaurant gimmick (“we grew these carrots ourselves!”), US-based urban vertical farming company Farm.One have created a more practical service – growing and delivering fresh, rare herbs, edible flowers and ‘microgreens’ to high end restaurants, removing the need for costly importing or dedicated restaurant farms. Unlike generic urban farming, their specificity and streamlined service demonstrates a shift towards more practical models of urban farming – answering an existing demand, not just an ideological trend.